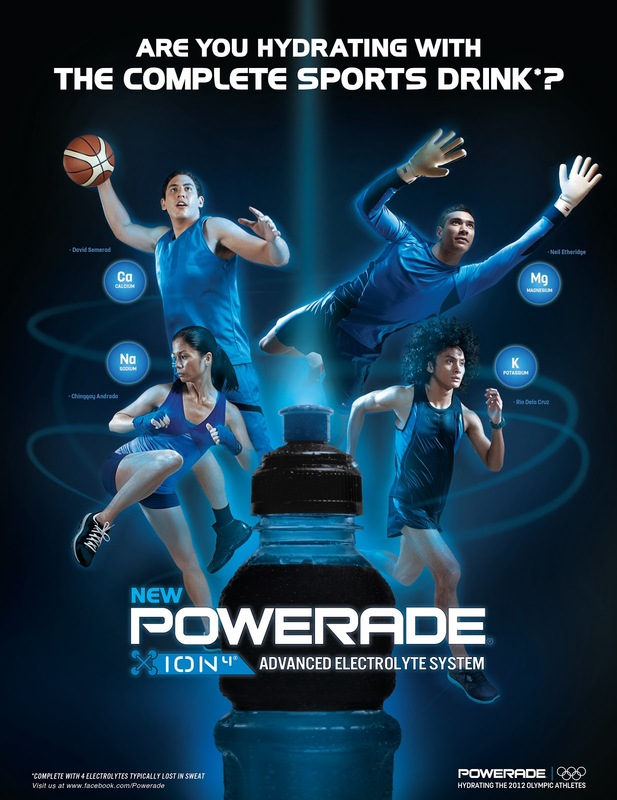 The much-anticipated revolution officially began the Hydration Revolution by the Complete Sports Drink, New POWERADE ION4® with Advanced Electrolyte System . 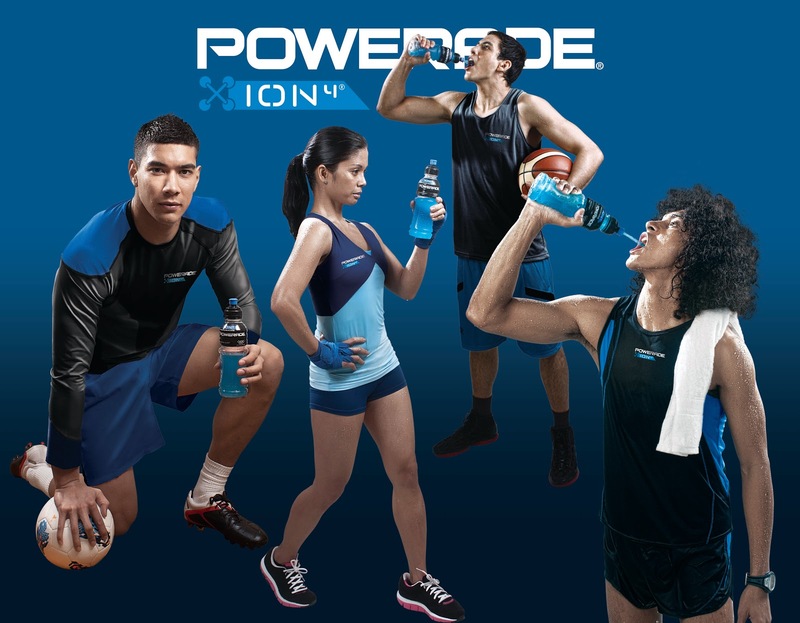 Elite athletes, like Rio Dela Cruz, Chinggay Andrada, David Semerad and Neil Etheridge are the chosen individuals to endorse and represent Powerade Ion4. These multi-awarded athletes mastered their craft and they would not settle for anything less than complete. 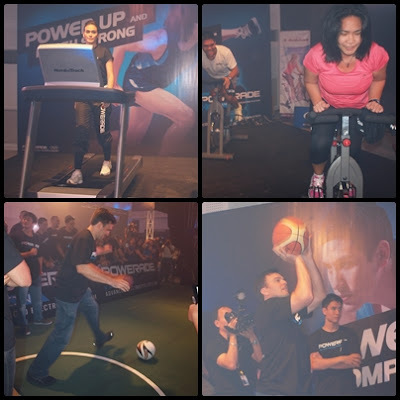 The Coca-Cola Company met with Philippines’ top names in sports and fitness along with media partners to share a history-making day filled with no less than the biggest of surprises last week at Whitespace Events Hall in Makati City to welcome a new age in hydration and fuel replenishment - Powerade Ion 4. An isotonic drink that helps our body replenish water and the four key electrolytes typically lost in sweat: sodium, potassium, calcium and magnesium and provide carbohydrates fuel ( at 15 calories per 100mL) for muscles. It also encourages our body to absorb fluid and maintain fluid balance. Carbohydrates are replaced to supply muscles with fuel, helps sustain mental and physical performance. To prevent from dehydration, POWERADE ION4®doesn’t switch thirst receptors off prematurely, it keeps you feeling thirsty until properly rehydrated. Group Brand Manager for Hydration, Coca-Cola Philippines Teejae Sonza said “Athletes and the growing population of sports and fitness enthusiasts in the Philippines are ready to level their game up. Some tend to believe that the way to do this is by buying the latest sports gears and equipment. But we must remember that our most important gear is our own body. We need to make sure to properly take care of our ‘inner gear’. And thus, in order to achieve our goals, we need a hydration partner that provides us with the essential things we need in order to perform better. Other sports drinks only have two ions. This new formula has four. 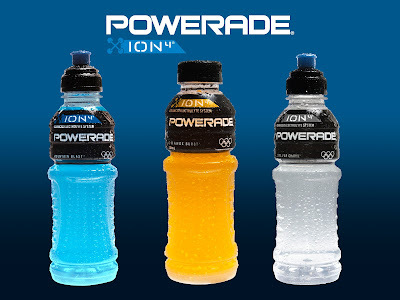 POWERADE ION4 ® is complete with the 4 electrolytes in the same ratio typically lost in sweat. That is why we are bringing new Powerade Ion4 in the country- to empower you to complete your game with the complete sports drink”. The event was of course complete with exciting activities. As guests arrived we were ushered into a lighted tunnel which led to the main floor. Right after the program starts the surrounding curtains opened up to reveal the Powerade Ion4 booths, four sports and fitness kiosks that presented the challenge to sweat it out and discover just why they should start the big switch to be complete. Sports announcer Paolo Trillo guided participants as they tried out the games and all through the day’s fun fare. Then the main stage lighted up to signal the reveal of POWERADE ION4® brand ambassadors who made quite a powerful entrance. Powerade Ion4 is available in Mountain Blast, Orange Burst and Silver Charge in the new easy-grip 500mL bottles. The Mountain Blast and Silver Charge variants are also available in sports caps, perfect for rehydrating during exercise. Powerade is a trusted partner of many sports organizations in the country and the world. In fact, it is the official hydration partner of the 2012 Olympic athletes in London. New Upgraded Formula. Powerade ION4 Advanced Electrolyte System. Go for the Complete Sports Drink. 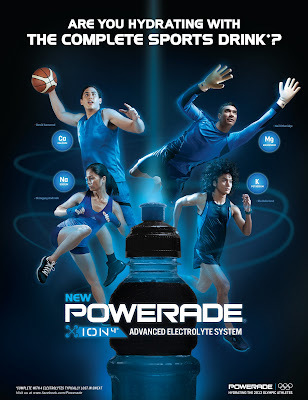 To learn more about this breakthrough product, go to the Powerade ION4 Facebook Fan Page (www.facebook.com/powerade) and/or follow @PoweradePH on Twitter.